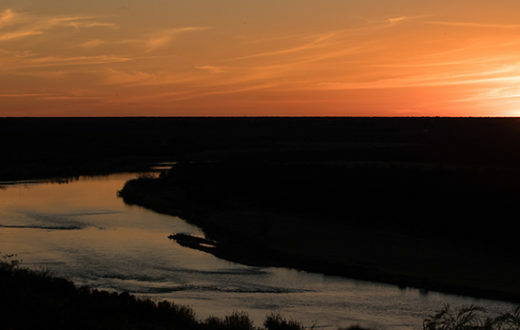 The Rio Grande is a western icon and the lifeblood of the American southwest. This iconic river is already suffering death by a thousand cuts due to dams and unsustainable diversions. Now the Trump administration is pressing to build a border wall, adding to miles of levee-border walls and bollard border walls that already choke the river, increase flooding and erosion, disconnect the river from its floodplain, and block access for people and wildlife. 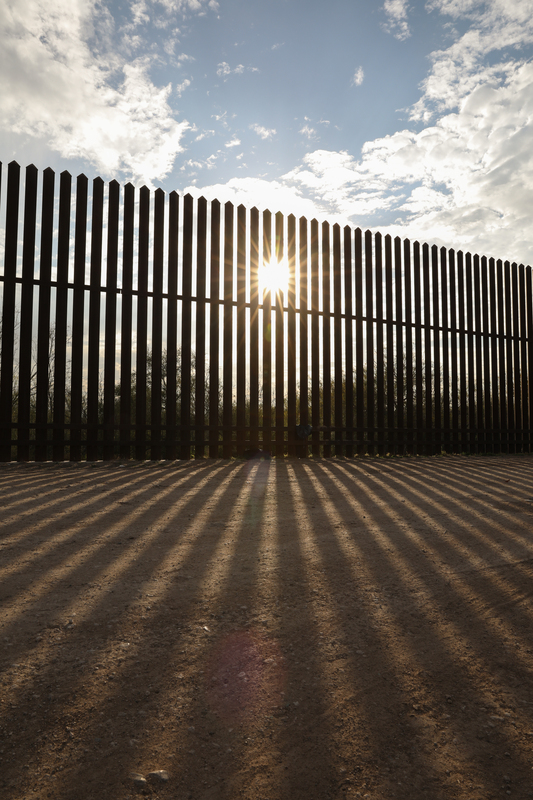 The danger is nowhere more acute than in the Lower Rio Grande, where Congress has approved funds to build more than 30 additional miles of border walls and the Trump administration continues to push for hundreds of miles of additional wall. The Department of Homeland Security will waive environmental laws to build these border walls. Congress must block any further attempts to advance this invasive and harmful project, and restore the rule of environmental law to the borderlands. Take action: Tell your Members of Congress to reject border walls along the Rio Grande that will harm critical habitat and impede access by people and wildlife that depend upon this great river. Starting in the snow-capped peaks of Colorado’s San Juan Mountains, the Rio Grande (or Rio Bravo, as it is known in Mexico) carves the third longest path of any U.S. river. 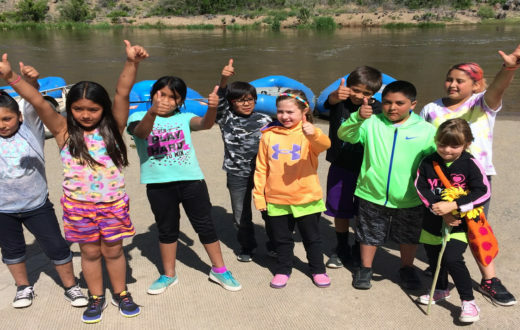 The river bridges two nations and nourishes communities and cultures from its cold headwater streams in Colorado to its warm water delta on the Gulf of Mexico – with 270 miles in the Wild and Scenic Rivers system. It boasts three sets of canyons, each followed by some of the most productive agricultural land in North America and some of our nation’s fastest growing cities. This has led to the diversion and reduction of much of the river’s natural flow. The 1200-mile border section of the Rio Grande is a critical component of ecosystems protected by Big Bend National Park, the Lower Rio Grande Valley National Wildlife Refuge, Santa Ana National Wildlife Refuge and major state parks, as well as major conservation areas on the Mexican side of the river. All of this is precariously balanced on the flows and management of the river by the U.S. and Mexico, and threatened by mismanagement and border walls. The Lower Rio Grande and its tributaries support a thriving agricultural economy, including the bulk of Texas’ grapefruit, oranges, tangerines and lemons. The other major economic driver in the region is ecotourism that is largely dependent on the unique river ecosystem that hosts a stunning variety of wildlife, including 500 species of birds, 300 species of butterflies, Texas tortoise, peregrine falcon, javelina, jaguarondi and the critically endangered ocelot. 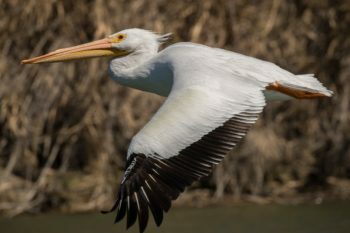 The Lower Rio Grande Valley and the Santa Ana National Wildlife Refuges protect the heart of this wildlife corridor along the banks of the Rio Grande. Collectively, the refuges attract 165,000 people and bring in $463 million each year and provide the last remaining five percent of intact habitat in the Lower Rio Grande valley. The Trump administration has proposed the construction of hundreds of miles of new border walls along the Rio Grande. The first 30 or more miles of this new phase of wall building in the Lower Rio Grande floodplain were recently funded by Congress. Much of this new construction will be “levee-border walls”— carving away the river-facing side of existing earthen levees and inserting a vertical concrete slab — that will cut the Rio Grande off from its floodplain and block access to this life-giving resource for people and wildlife. Property owners on both sides of the river could see the use of their lands disrupted. The walls would hamper the movement of terrestrial and aquatic species, fragmenting habitat critical to endangered ocelots and jaguarondi, and disrupting species distribution and seed dispersal. Bollard border walls, consisting of 18-foot tall steel posts spaced 4 inches apart, will also be erected in areas that do not have levees. These walls will repeatedly intrude into the Rio Grande floodplain, putting communities and habitats on both sides of the river at risk of flooding and violating the treaty that established the Rio Grande as an international boundary. New walls would make the river a place of division, as opposed to a place of opportunity and connection. Ironically, all of this might be set in motion in a year when we celebrate the 50th anniversary of the Wild and Scenic Rivers Act. Unfortunately, current federal environmental laws provide little protection. Under federal legislation enacted in 2005, the Secretary of Homeland Security has the authority to waive all federal laws requiring environmental review and protection that might stand in the way of building the border wall, including the National Environmental Policy Act, Clean Water Act and Endangered Species Act. Three environmental waivers have already been issued for border wall construction in California and New Mexico. 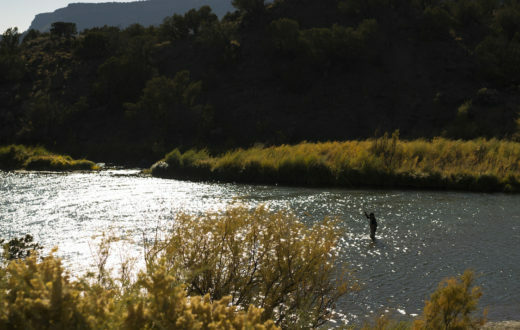 If plans go forward to build the walls on the Lower Rio Grande, another waiver is likely. Consequently, the federal government can permit the destruction of wetlands, sedimentation of waterways, and harm to imperiled species that would otherwise be protected. In the coming years, President Trump will likely push Congress to fund additional border wall construction. Trump has called the current $1.57 billion appropriation a “down payment” on an eventual $25 billion over ten years. Though the Santa Ana National Wildlife Refuge has been spared for now, construction of more than 30 miles of new levee-border walls and bollard border walls in some of the last remaining habitat along the Lower Rio Grande corridor will do inestimable damage. 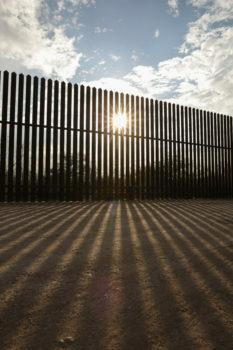 The Trump administration is already pushing for funding for hundreds of miles of additional border walls, and given the attractiveness of federal land for wall construction (no land acquisition is necessary), it is highly likely that if more funds are approved, additional border walls will go up in national wildlife refuges and other protected areas along the river. 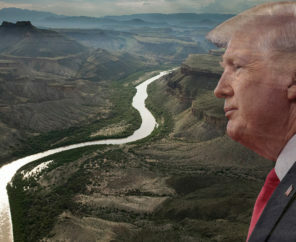 The approved walls are clearly only the first step in the Trump administration’s plans for a border wall along the 1200-mile border section of the Rio Grande, possibly including the iconic Big Bend region. 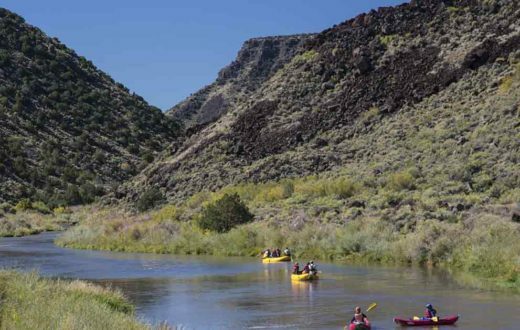 Congress must refuse to appropriate another penny for this damaging and wasteful project, thus preventing further harm to what little remains of Lower Rio Grande habitat. The American public must urge Congress to reject border walls along the Rio Grande that will harm critical habitat and impede access by people and wildlife that depend upon this great river.